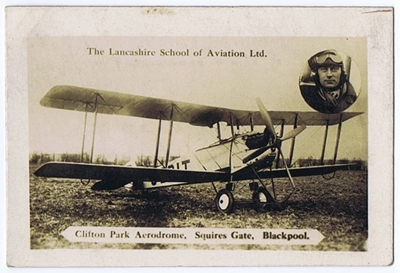 Lancashire School of Aviation, Blackpool. 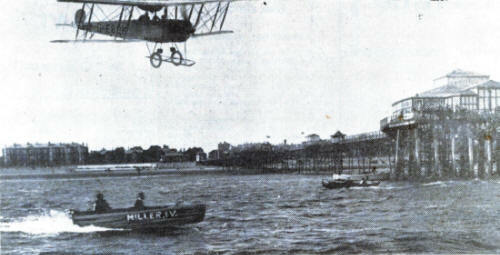 The Lancashire School of Aviation continued flying from Squires Gate until the 1930s. Like AVRO, they offered flights, pleasure flights and flyting lessons. 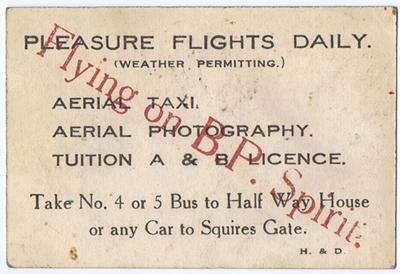 Advert for the Lancashire School of Aviation, Clifton Aerodrome, Squires Gate, Blackpool, in the 1930s.